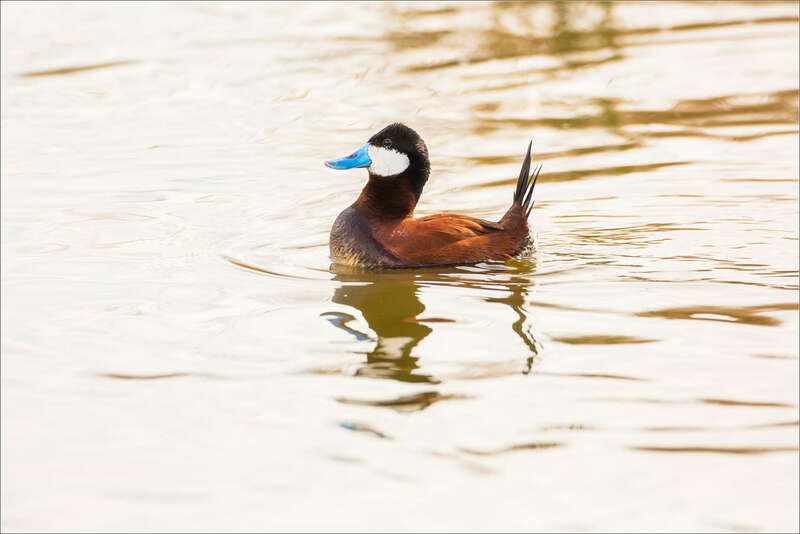 The Ruddy Duck is an odd creature. 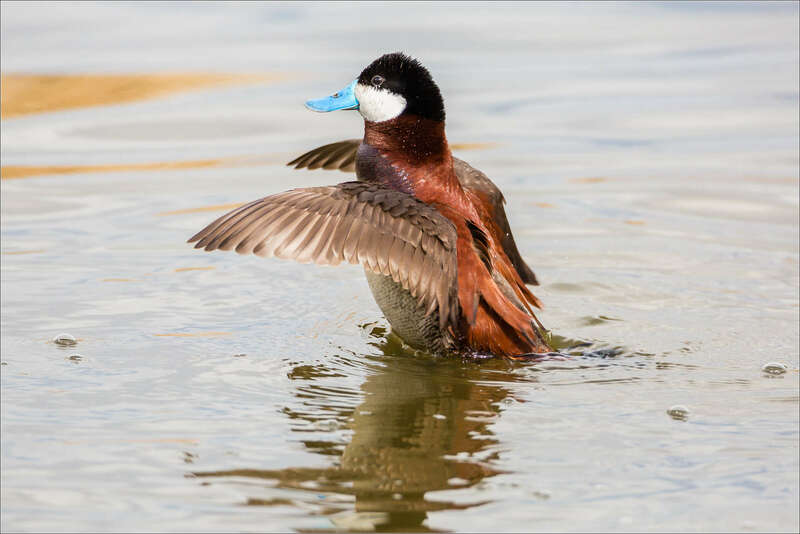 Blue bill, white cheeks, russet toned back feathers with liberal sections of black and motley brown. I find them to be a beautiful bird but I wouldn’t take issue with someone who felt differently. 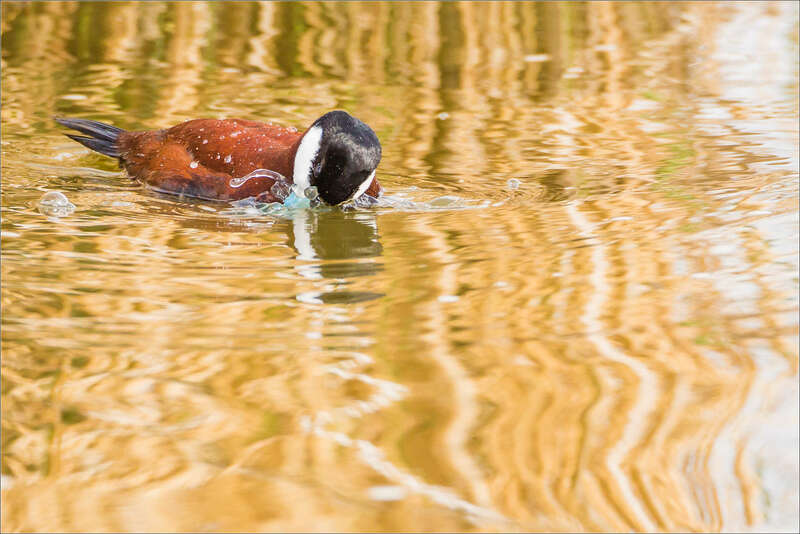 Along with photographing Yellow-winged Blackbirds and Eared Grebes during my last visit to Frank Lake, there were several Ruddy Ducks that swam nearby and were caught within my viewfinder. 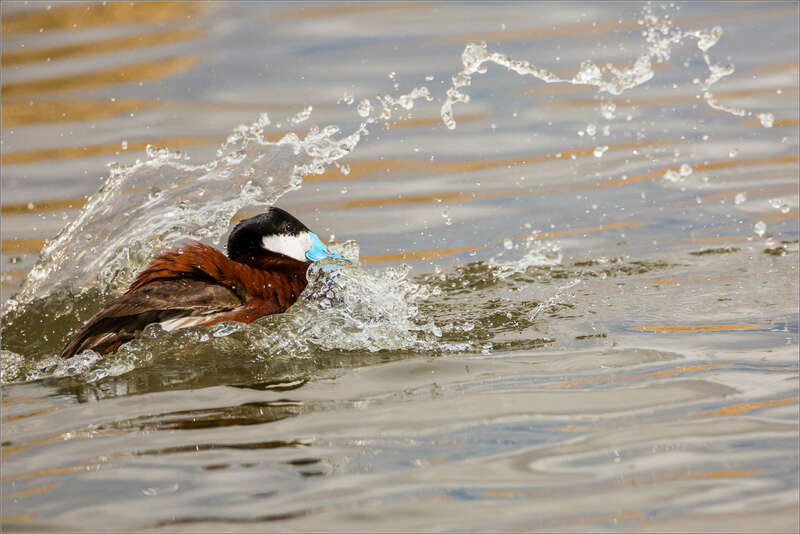 The males were more prevalent, swimming in the open away from the reeds. I’m not sure whether the females were shy or, more likely, staying close to their nests. A few did pass by, this one came right in front of the blind providing a nice opportunity for me. The males came and went, chasing each other occasionally but mostly just skimming their bills along the water catching insects. 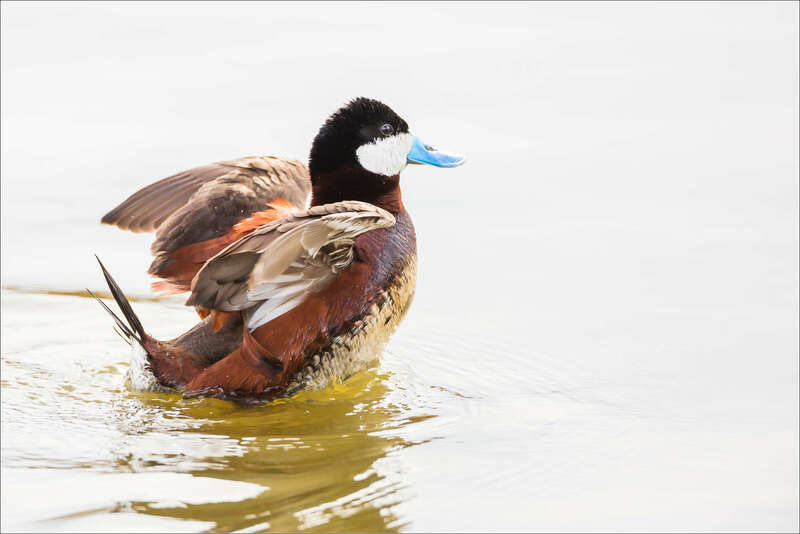 These ducks are known for their spiky tail which they often hold straight up when on display. They seem very formal, almost like a soldier in uniform and at attention, when they do. Very cool birds. I’m hoping to see their ducklings on my next visit to the Frank Lake Conservation Area. This entry was posted on May 30, 2013 by Christopher Martin. 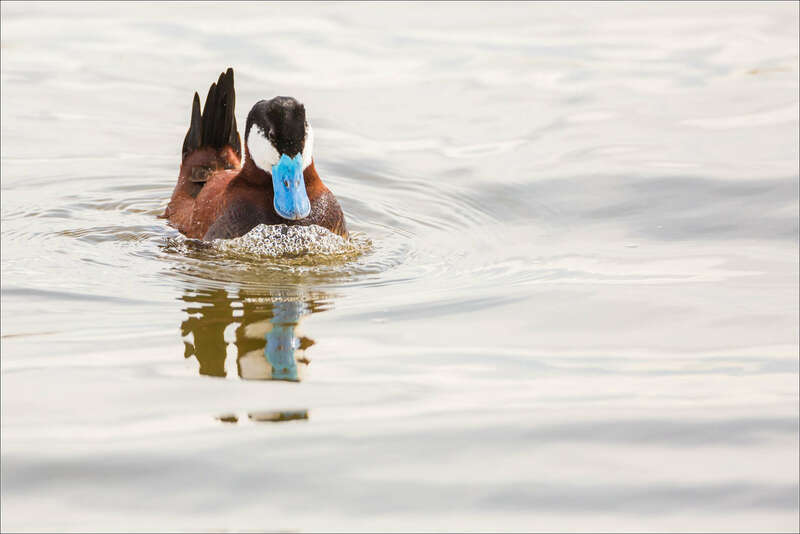 It was filed under Birds, Wildlife and was tagged with alberta, birds, Frank Lake, nature photography, Oxyura jamaicensis, reflection, Ruddy Duck, water, wildlife photography. Wow you’re third shot is so endearing it might as well be an illustration. Wonderful photos (as usual :))!!! Thank you for providing the settings! 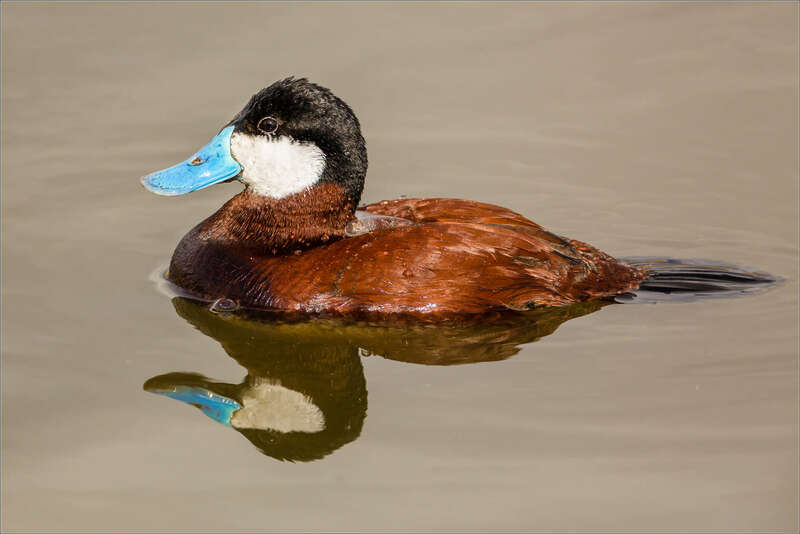 I love Ruddy Ducks and these are great photos-I have trouble getting close enough to get good shots. 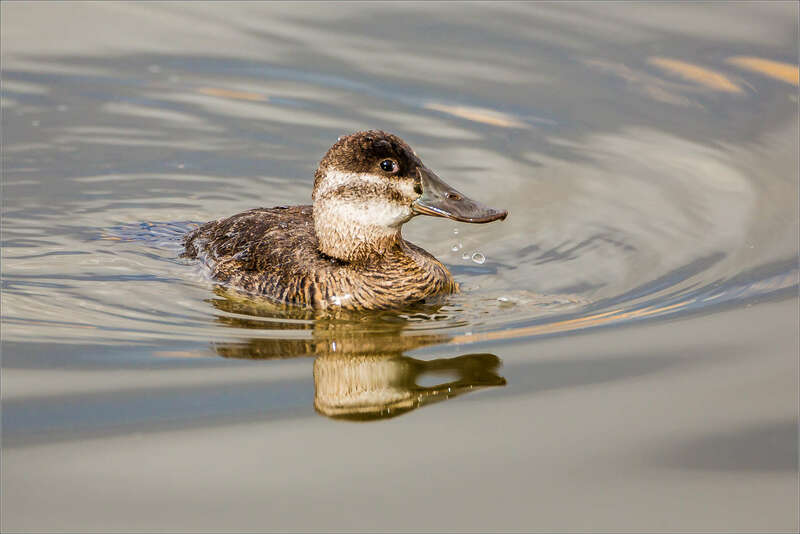 It was this duck that got me seriously hooked on birding.I had a friend and we would have a little contest to see who spotted the first Ruddy of the season, then take the other to see it. Unfortunately have not seen one yet this year and sure appreciate yours.Did you know that Daffy Duck (with the sputtering ) was named so after the Ruddy? Great set. I love these captures! I wish I had your equipment. 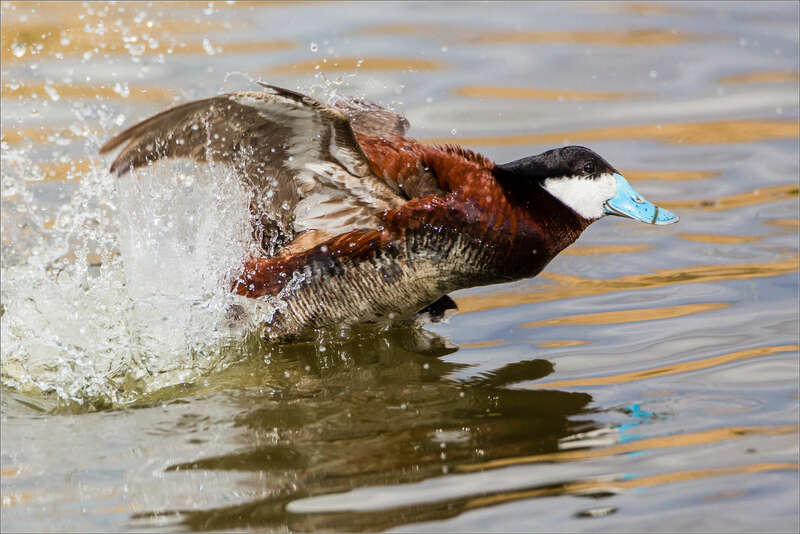 Beautiful photos of a beautiful bird.